Promotional photos for the DC's Legends of Tomorrow episode "Star City 2046" with Connor Hawke and Stephen Amell's Arrow. 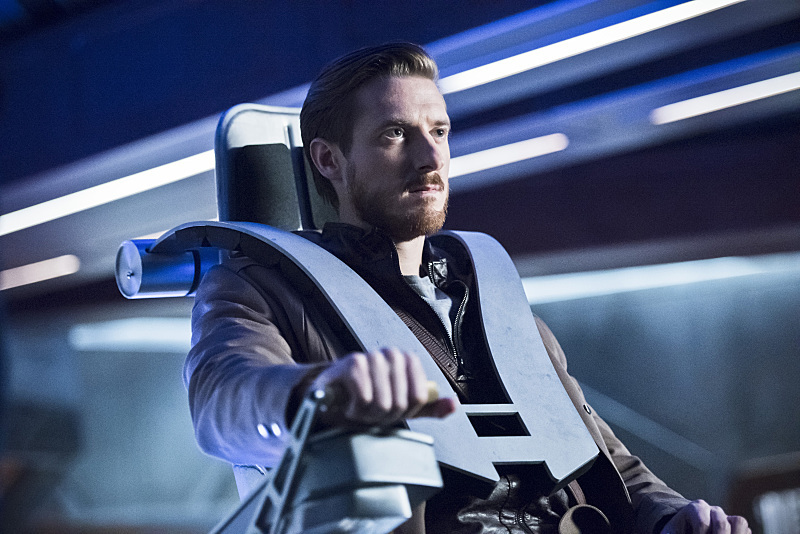 The CW has released a full gallery of images from Thursday’s new Legends of Tomorrow, titled “Star City 2046″…. and in this gallery includes some shots of guest star Stephen Amell (as Oliver Queen, of course!) and Joseph David-Jones as Connor Hawke! You can see the photos below. Also note that it was revealed in the photos that Jamie Andrew Cutler is playing Grant Wilson, the son of Slade Wilson and the new Deathstroke. In the comic books, Grant was the first Ravager, making an appearance in the same comic that introduced his father, New Teen Titans #2. Craig Byrne has been writing about TV on the internet since 1995. He is also the author of several published books, including Smallville: The Visual Guide and the show's Official Companions for Seasons 4-7. In addition to covering Legends of Tomorrow, you can find Craig at KSiteTV, GreenArrowTV, KryptonSite, and FlashTVNews. DC’s Legends of Tomorrow: The Trailer Is Here!